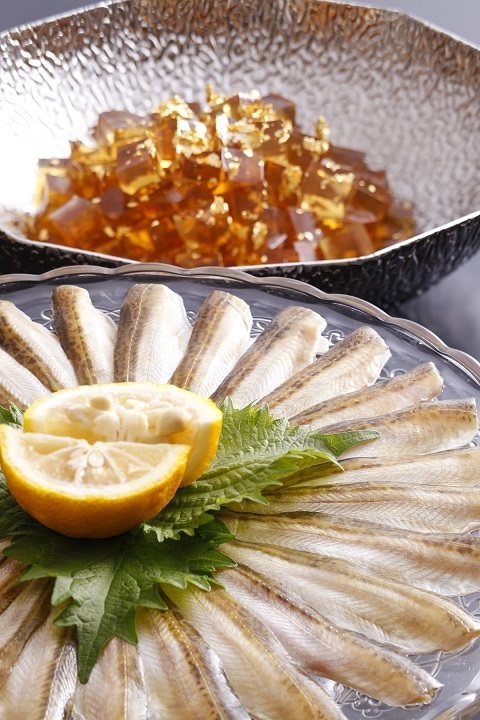 A trawl starts from September at the Sea of Japan side. 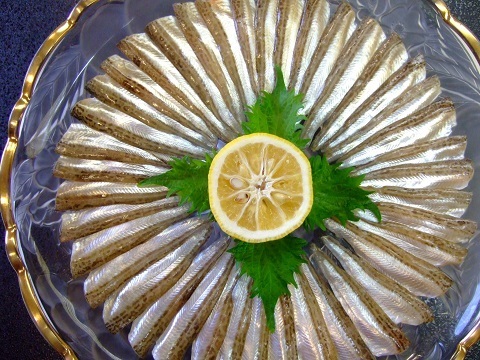 Rich sandfish in the San-in region offing is one of the fishes in season eaten only at this time. 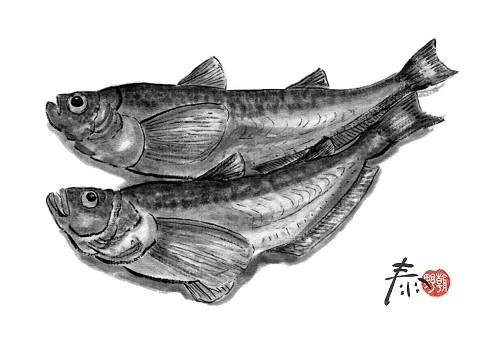 The fish to which the sandfish is familiar by boiled fish and dryingfish. There may be a lot of people who say "We have taken food served in the hot pot and have not eaten." Because that's also a dish which takes the time and effort which can be made with only the fresh sandfish which gained weight plumply possibly. 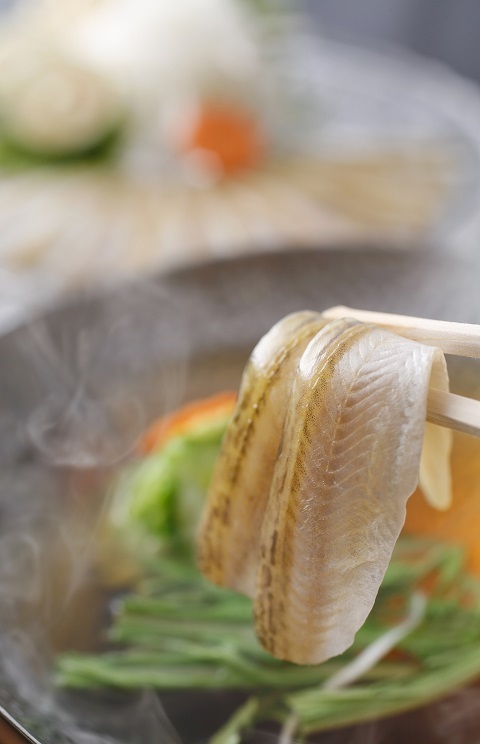 Then a Japanese-style hotel in the San-in region and Yumura-onsen "Asanoya" the "gold pot of" sandfish eaten with special pot soup stock is famous. When the form heaped up circularly lights beauty just like being leopard-fur, soup stock with gold foil begins to melt, and We'll have it by the flavor of the sandfish. When homemade organic citron is squeezed in soup stock, it'll be the taste of the refreshing PONZU vinegar preparation.